The Mercedes-Benz 300 SL Gullwing coupe and 300 SL convertible are two of the most iconic cars the German automaker ever created. Two examples are heading to the 2017 Pebble Beach auction with Gooding & Company including a 1957 Mercedes-Benz 300 SL Roadster and a 1955 300 SL Gullwing coupe. A single family has owned each car since new and both of them are all original and completely unrestored. 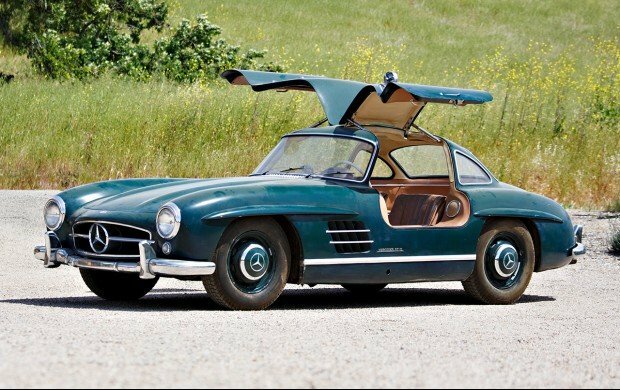 The 300 SL Gullwing is a special one-of-a-kind color British Racing Green exterior and tan interior and has only a bit over 16,000 miles since new. 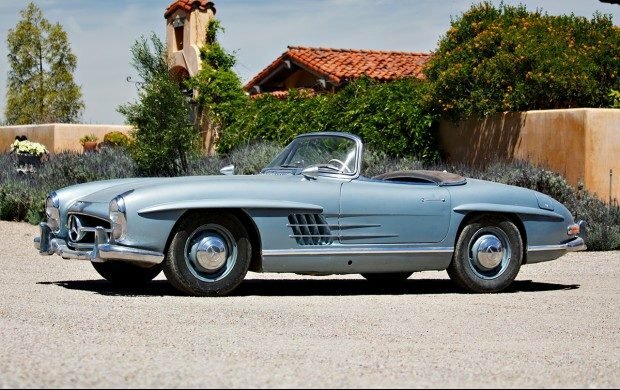 The 1957 300 SL Roadster has less than 38,000 miles on it since new and is blue with grey interior and top. Both are fantastic looking cars and should bring big money at auction.